VATICAN CITY (CNS) — Advent is a time for people to think about what they can change about themselves so that they can sow the seeds of peace, justice and fraternity in their daily lives, Pope Francis said. 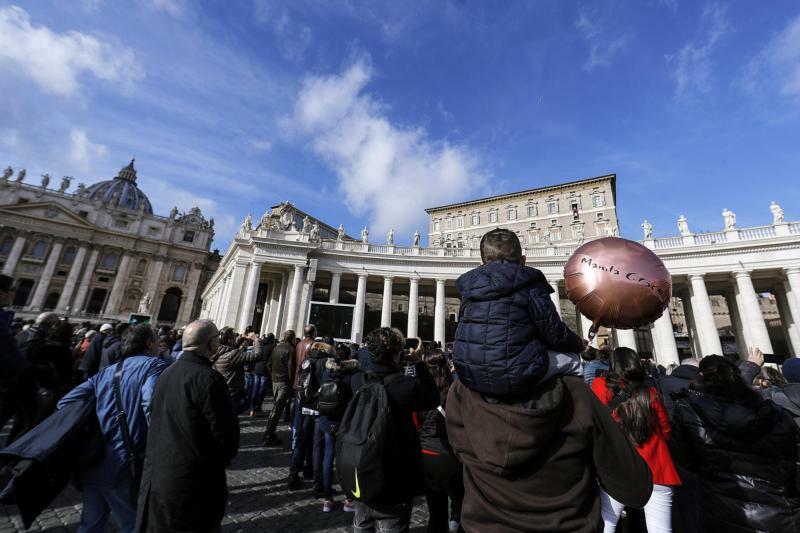 The Advent season is a call for personal conversion, “humbly recognizing our mistakes, our infidelities, our failure” to do one’s duty, he said Dec. 9 before praying the Angelus with visitors gathered in St. Peter’s Square. Celebrating the second Sunday of Advent, the pope said the attitudes of vigilance and prayer that characterize the Advent season and preparations for Christmas include a journey of conversion. “Let each one of us think, how can I change something about my behavior in order to prepare the way of the Lord?” the pope said. Preparing the way entails making straight “his paths. Every valley shall be filled and every mountain and hill shall be made low,” the pope said, citing the day’s Gospel reading according to St. Luke. The pope said to think of the valleys as being the result of indifference and cold-heartedness. Filling them, he said, requires reaching out to others — like Jesus did — with warmth and attentive care and concern for their needs. Hills that need leveling, he said, are the bitter, harsh obstacles of pride and arrogance. St. John the Baptist, he said, invited the people around him to conversion “with strength, vigor and severity. Nonetheless he knew how to listen,” how to act with tenderness and be forgiving. People must pray for help in preparing the way of the Lord, “beginning with ourselves and for spreading around us seeds of peace, justice and fraternity with steadfast patience,” he said.